Freedom Solar installed SunPower solar panels at our home about 4mos ago. They have done an outstanding job for us with both the quality of their work as well as the service they provided throughout the whole process, including followup post installation. I couldn't be happier with my solar panels. They genuinely have the customer's best interest in mind, and they take great pride in their work. I had obtained three quotes for this job and Freedom Solar's pricing was competitive. Freedom Solar has my highest recommendation! Very nice and extremely competent people! They went the extra mile and then some getting our old system up and working again. Best products and service ever! Rich Moore, there is a saint with his patience in answering my many questions. They installed a SunPower system in my home in Los Altos a few years ago and I have been super happy. I love they do the monitoring and even let me know when the connection is not working and I need to reboot the modem. Rich has very strong integrity and is true to his word in delivering. I have not had any issues and it seems he sized the system perfectly for me, even anticipating increased demands as I added A/C and electric car charger. Rich has also been very kind in continuing to answer my questions, years later. I recently needed help comparing various products for a solar system for a second home of mine in Hawaii. He took me through the various proposals from different vendors listing the pros and cons. He will not make a cent from that, but took the time anyway to help me. That is the kind of guy he is. 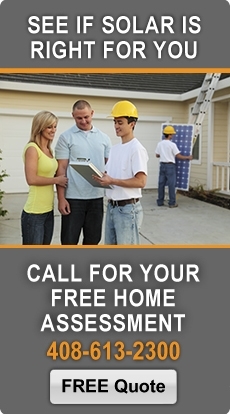 Freedom Solar is competent, prompt, and very knowledgeable ... all for an excellent price. I couldn't be happier. Their installers work for the company and are seasoned and experts in all different types of roof installations. You can tell that they care about their customers and optimizing the end result for their customers. And the best part is that they are responsive and willing to address all of my questions in a friendly and knowledgeable way. They even hooked up my monitoring system and showed me how to keep track of how my system was performing on a regular basis. It's gratifying in this day and age to run across folks that believe in good old fashioned service and customer satisfaction. Our installation finished on Dec 1st and we are very happy with their service. Even though the project from start to finish was handled by multiple people all of them were equally professional. Freedom Solar installed our system about five years ago. They were recommended by friends of ours whom we trust who had a really big job and said they were good. Freedom Solar helped us with all the permits and the rebates. The permits were a little annoying because our house is historic and the city of San Jose had some idiotic requirements but Freedom handled all the hassle. We've have now had our solar system for a bit over a year. The installation went without problems. The salesperson and the installers were professional and courteous. I had done a price comparison with other solar companies and found that Freedom Solar's system was appropriately priced. (We went with the micro inverters which not all other companies offer). The system came with a monitoring system which allows to monitor daily production. The system is also linked to the company's system, so if there should be a problem with any of the panels, they will realize it and act on it. I also receive a monthly email with a production summary and comparison to previous months. I recommend Freedom Solar. They did a good job and we have been pleased ever since. About two weeks ago I noticed that the inside monitor that reads out our production wasn't working. I changed the batteries and it still wasn't working so I called Freedom. It wasn't urgent but they got back to me right away. While we were on the phone they walked me through a system check and we could see that the system was working fine. The problem was just with the little box on the wall that tells you what's going on. I had instructions in email for a fix from their tech person about twenty minutes later and it didn't take long to sort the whole thing out with their help. That is seriously good customer service. I've recommended them to lots of people and would recommend them any time. In the year plus since I've had my solar panels I continue to be impressed by the service, follow up, and quality installation of Freedom Solar. What a great, reputable firm - very glad I selected them. A company that stands behind its work with integrity. You'd be hard pressed to find someone better to do business with. Freedom Solar installed our system about 6 months ago. We had a long sales cycle as I talked to several firms and had many questions about size, location, and efficiency. Freedom Solar was recommended by a friend who we trust and had a positive experience with Freedom Solar. Freedom Solar helped us design and manage the entire project, including the City with permits, implementation, and final setup. The process was flawless and very fast. I would strongly recommend. As I met and had proposals from the 'Big Companies', I believe you will not find anyone out there that is more customer focused, accommodating, clean, conscious, and friendly. We are very happy that we selected Freedom Solar. Exceptional service from these guys! I needed to re-roof so had to have someone take down and later reinstall 34 panels. I was concerned that solar companies would avoid this kind of job and prefer new installs. But Rich at Freedom Solar came right out. From there on his team was on top of the coordination with the roofer and did both remove and reinstall flawlessly. I highly recommend Freedom Solar. I have used Freedom Solar to install PV Solar systems on two homes. They have provided excellent service, price and professionalism. I had the pleasure to work with two different teams (time between installations was 10 years and staff does change) and both solar consultants were prompt to appointments and in returning phone calls. What I really appreciated were the options of equipment to meet my budget and power needs. Freedom Solar was the only company to actually come to our house and walk the roof to determine the best location for our system. All the other companies (3 others) all used Google Maps to provide their quotes. The other companies only bid over the phone and by email. Freedom sent their quote by email and followed up with a hand delivered copy for our records. The installation crew was also prompt and very knowledgeable about placing the racing system for the panels and running the conduit to make the installation clean and blend with the architecture of our home. The electrician on the crew did a great job with integrating the system into our main power panel and even relabeled all of our breakers. In addition to great workmanship the electrician found a non-compliant electrical problem with the original home builders PV Solar system grounding. I was able to contact the builder who authorized Freedom Solar to correct the electrical problem and paid for their time. During installtion a couple of concrete roof times were broken. The crew told me about the broken tiles and found matching replacements. They returned with the replacement tiles and installed them a week later. They even had extra roof tiles which they left for me to hopefully not need in the future. There have been a few technical issues with the monitoring system and they have been very responsive to phone calls and emails. They have resolved all of these normal issues very quickly, usually the same day. I have recommended Freedom Solar to my friends, and for those that went through with installation, who have enjoyed the systems installed by them. Freedom Solar is a top notch Solar Installer. Excellent Service, Installation and Office Support. Michael Barar knows exactly what he is talking about when it comes to the products on the market today. Not only will you get a great system, but you will know why its so much better than what ever you thought you where going to get to begin with. I vetted five solar contractors for a recent job and these guys won the bid by a mile and a half. Their enthusiasm, incredible knowledge base and professional sincerity won them the job. Don't walk away from the best there is. I know you will be happy with this company and their well trained team of solar professionals. Having spent a few months researching solar companies, I decided to have Freedom Solar install our system. When Mike Barar came to our house with his presentation, I was very impressed with his suggestions for a system that would meet our expectations. Two days after signing the contract, they arrived for the first phase of the job by installing the solar rails and roof conduit. They took advantage of the first rain free day, and were here early. After the next period of rain went away, they came back on the first dry day to install the solar panels and complete the electrical modifications needed. These guys are awesome! The project manager, Michael Copeland, and the installation crew did a fantastic job, and the conduit work required is a work of art. Henny, their friendly office manager, did a great job of handling the paperwork as well as keeping me informed throughout the whole process. Susan set up the Envoy Communication Gateway before bringing it to our house, and the installation of that was simple and quick as she is an expert on this device. I am glad I chose Freedom Solar for our installation, and I would not hesitate to recommend them to any of my friends. We met with six solar installation companies. Rich from Freedom Solar was the most informative and accommodating. He met with us on evenings and Saturdays to answer our questions and provide our quote. He did not hesitate when we asked for different quotes based on panel quantity, brand or style of inverter(s). Freedom provided the most competitive bid and followed through with excellent workmanship. They even went out of their way to obtain hard to find replacement roof tiles. Dale came to our home several times as we had problems with our wireless access point. He was able to diagnose the problem and resolve it completely. We highly recommend Freedom Solar to anyone considering solar panel installation. I was referred to Rich Moore at Freedom Solar through a family member, we had previously gotten some quotes from other solar companies when we were finally told about Freedom Solar. I had talked to a few other solar companies prior and I learned more talking to Rich in 5 minutes and did not feel like I was being sold a huge system that I did not need. He was nice, patient and calm. Explained everything thoroughly and made sure I was comfortable with things before we even talked about price and contract. Never felt the used car salesman approach like the other companies. I cannot say enough times how satisfied I am with the entire company. They were all such nice, pleasant people, walked me through the entire process step by step, Rich Moore even came to our house on a weekend to talk to us about the process because we were not home during the week, and had the entire installation done in a matter of days with absolutely no inconvenience to us! I would highly recommend them to anyone who needs solar. Every single person at this company is highly personable, quick to answer your questions and needs and does it with a smile. I could not imagine using any other company. I only wish most companies could follow their lead! Thanks Freedom Solar! Freedom Solar was hired to handle the Solar Energy requirements during the reroofing of my residence. Freedom had to dismantle the current solar panel display (18 solar panels) then carefully take them off the roof, inspect and store them, inspect the solar electrical system, and then reinstall this system on a more appropriate area of the roof with new metal stanchions/ extenders. Since we have a low sloping roof with panel over beams with a 2" over layer of urethane rigid insulation then a new 3-ply "torch-down composite roof layer”, ultimate measurements and care of installation were critical. The Freedom team were personable and extremely professional in their work. They did an excellent job and insured the new installation met code. We were very satisfied with the job and recommend them highly. We bought a house with a 5kW system already installed. We quickly realized that we needed a bigger system because of an added electric car & more consumption. Freedom Solar helped us with the addition of a new 3kW system. The installation wasn’t straight forward because they had to work around the old system to minimize damage/redoing work (my preference). They still got the work done in 2-3 days and the system is working great. We also got the newest micro-inverter upgrade, which allows the panels to be an effective 245 watt instead of 240 watt, after we signed the contract for no extra cost! We have had our system for just about a year now; it has had no problems whatsoever and has exceeded our expectations. We expect to get a few hundred dollars back from PG&E in January - even though we charge our Nissan Leaf at home every night! Freedom Solar installed a set of 30 solar panels on our roof in February, 2012. I thought I would wait 12 months before posting a review to see how things worked out. The results are outstandingly positive. Over the course of the year, our panels produced 10,674 kW-hr, about 5% more than Freedom Solar's original estimate. As others have said in their reviews, Rich is extraordinarily knowledgeable and capable. We had looked at other solar panel companies. Some of the bigger ones turned us off because they weren't even willing to visit our home to make an estimate, instead basing their estimates purely on satellite photos of the roof. (Frankly, they reminded me of used car salesmen.) Freedom Solar people visited our home, climbed on our roof, and made accurate-to-scale measurements of roof dimensions and solar irradiance, taking account of nearby trees and other obstructions. When I compared Freedom Solar's proposal with some others, I also discovered that Freedom Solar could generate more power with fewer, smaller panels, because they used more efficient SunPower panels (18% efficiency vs. typical 14% for the other guys). I also liked the terms of SunPower's lease, which I strongly recommend checking out. Once we decided on Freedom Solar, the installation went smoothly and painlessly. Freedom Solar's people showed up when they said they would, worked to their agreed schedule, and cleaned up their mess after they were done. We had put a new roof on the house the year before. Freedom Solar people contacted our roofer and talked to them to make sure there were no issues with the roof penetrations for the solar assembly. They also walked us through the PG&E hand off procedure, and came out afterwards to check that everything was working properly. Freedom Solar's estimate of the energy that would be generated by our panels has turned out to be very good. Another factor to consider was how much our annual PG&E bill would net out to. Freedom Solar's estimate was within about $100 of the actual total for the entire year, which is very good considering the complexity of PG&E's rate structure. So, there are many solar installers out there. From our direct experience, we can strongly recommend Freedom Solar. A big shout to Rich Moore at Freedom Solar. Being a general contractor for several years, I have had the most refreshing experience with Freedom Solar. I have had Rich Moore (Freedom Solar) provide estimates for several of my clients and he has been very professional and considerate to my clients. I know through acquaintances that he has provided excellent solar systems in the Bay Area. I spend all day organizing and co-ordinating work (lots of challenges) and I cannot thank Rich enough for the absolutely pleasurable and professional service. I look forward to sharing my story with my clients who may be interested in solar. Thank you Rich Moore, thank you Freedom Solar! I’m rebuilding my home and wanted solar. I contacted 5 companies - one company did not send me a bid and complained they don't have enough info to work out a bid, even though I had send the same architectural drawings to all 5 companies, including compass readouts of home orientations. The other 4 sent me bids. Freedom Solar was the 2nd least expensive based on cost per watts (I figured both STC and CEC watts). So my selection is down to two - one I won't name, and Freedom Solar. Of the 4 companies, only the rep from Freedom Solar came to the construction site to perform on-site survey and took actual solar exposure measurements from several spots on the south-facing roof (roof is not even fully built yet - just the roof truss was in place). I went through several cycles of Q&A, and each cycle I got new proposals from Freedom Solar based on my new requirements. In all I got more than 7, 8 proposals from which I finally narrowed down to the one that fits my needs and my budget the best. After signing contract and paying a small deposit, I worked with Marina who coordinated all the logistics of system installation, inspection, etc., including coordinating with my general contractor and the electrician. Everything was well organized and arranged and the project proceeded smoothly. System is now installed, although I won't really be able to use it until my house is completely built, which won't be for several more months. I highly recommend this company and believe strongly you won't go wrong with this company. You will get the impression that it is a well-managed, solid company and run by employees who are honest, friendly, customer-oriented and knowledgeable in what they do and sell.